For those of you who follow lots of sewing blogs, you may have noticed that a special friend of ours is being celebrated today. 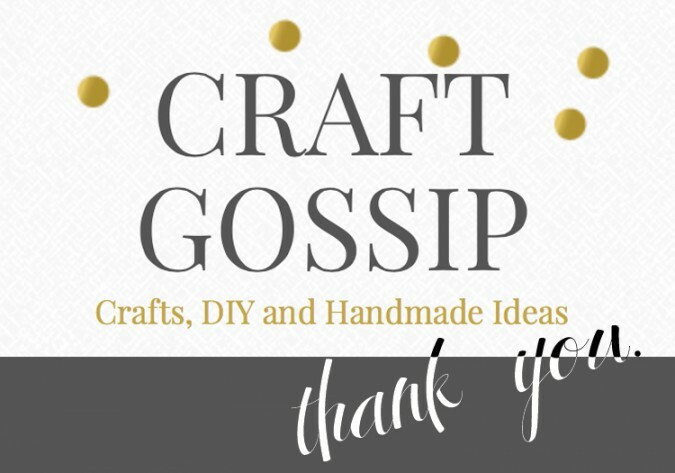 Her name is Anne Weaver, and she is the sewing editor for Craft Gossip. She is simply amazing. 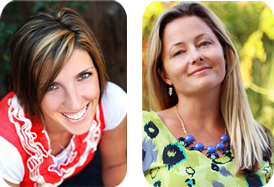 She finds great sewing tutorials and shares them with her very large readership. She works so hard to promote others. She always makes our day when she features our posts. Not to mention she is extremely cool. 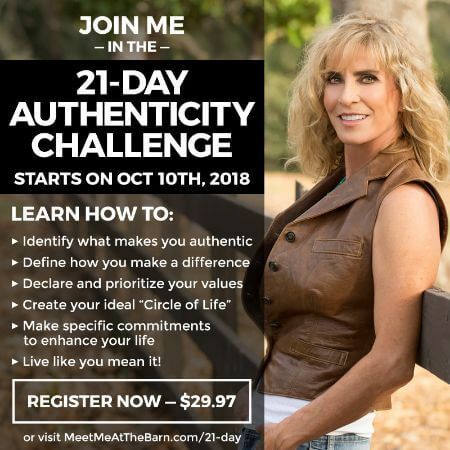 I had the opportunity to hang out with her a bit at a conference a couple of years ago and she is even better in person than she is online. So along with the other celebratory posts happening today, I am adding my big thank you to the mix. 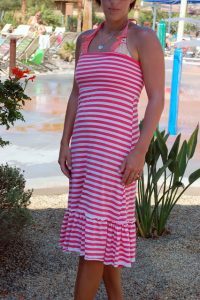 Recently, a group of bloggy friends did a secret handmade gift swap. It was so fun to come up with a gift idea to give to someone who would really appreciate something handmade. I had the opportunity to make something to give to Stacey of Boy Oh Boy Oh Boy Crafts. 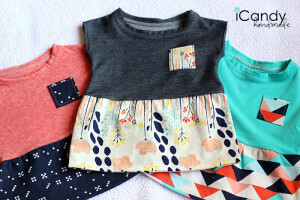 Check out her fun blog– I love all the cute things she makes for boys. When deciding what to make for her, I perused her pinterest boards and found she had pinned a fun foldover clutch with a strap. I decided to go for it. 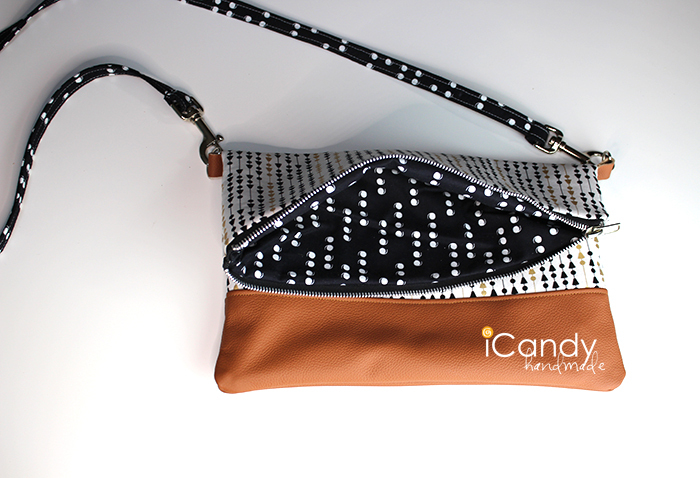 I came across this clutch, which inspired the colors/fabrics of the one I made. I found my gorgeous fabrics from Hawthorne Threads, and ordered my leather from PeggySueAlso etsy shop. Now, my friend Bev who writes the blog Flamingo Toes, makes gorgeous bags. 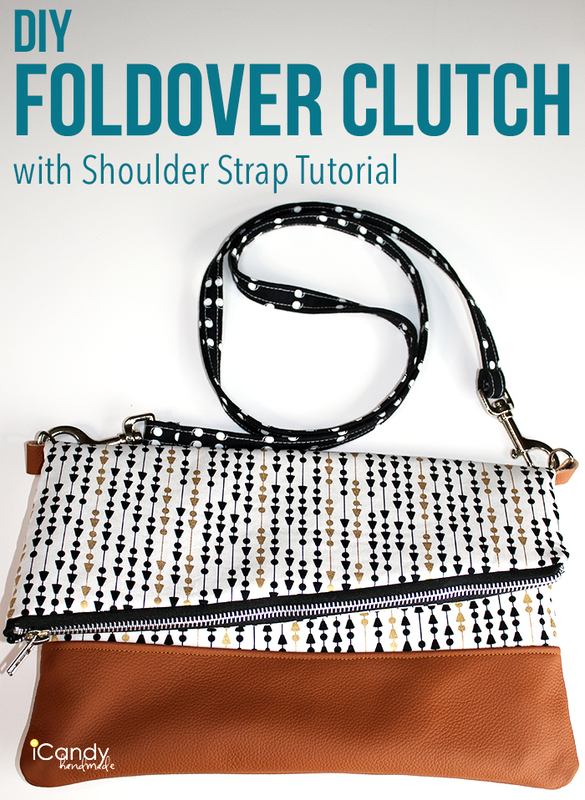 I was thrilled to find this assymetrical foldover clutch tutorial. It was just right for what I envisioned. So I got started. 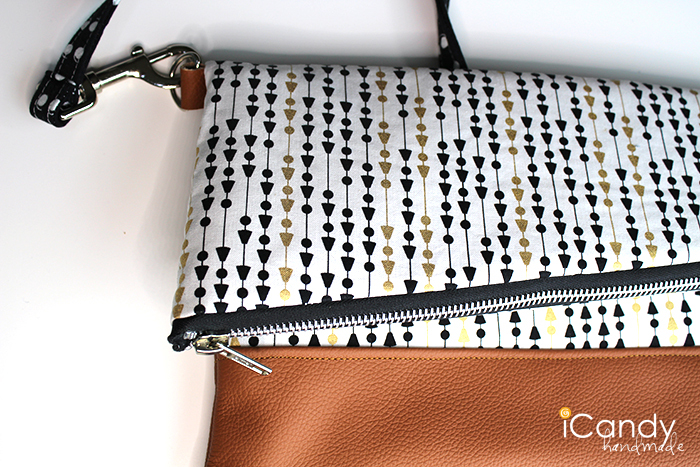 To make your own clutch with a strap, start by follow Bev’s tutorial. 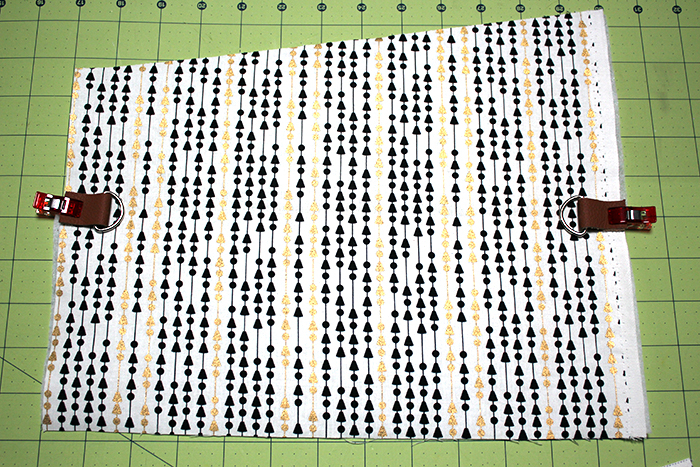 Once you have your main pieces, and have ironed on your fusible fleece, you need to cut two small strips of leather. Mine were about 2″ long by 3/4″ wide. 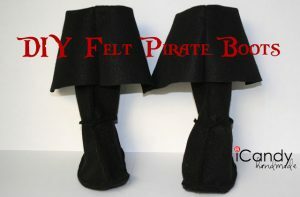 To make these pieces with fabric, you would need to add seam allowances and double the width. I would also reinforce with fusible fleece. Iron to the back side of your fabric, fold in half right sides together, and stitch along the side. Turn to the right side and topstitch if desired. Take your strips and fold them in half around a D Ring. Secure to the outside clutch piece, right where you will fold it over, one on each side. Baste into place. Continue following the Foldover Clutch Tutorial as written. 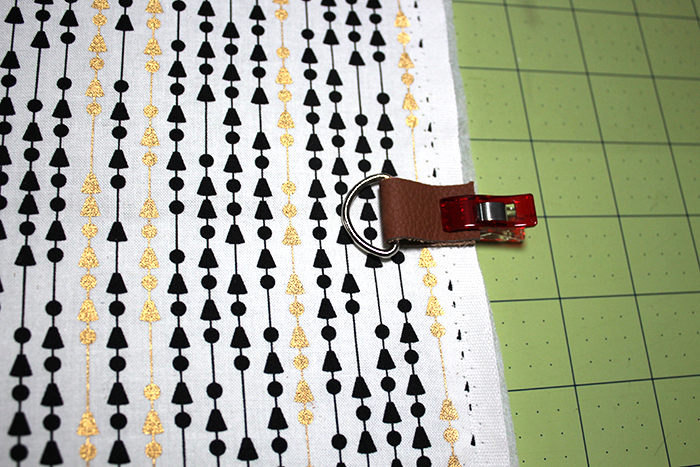 When you finish your clutch, continue on to make the strap. Next, you need to decide how long to make your strap. 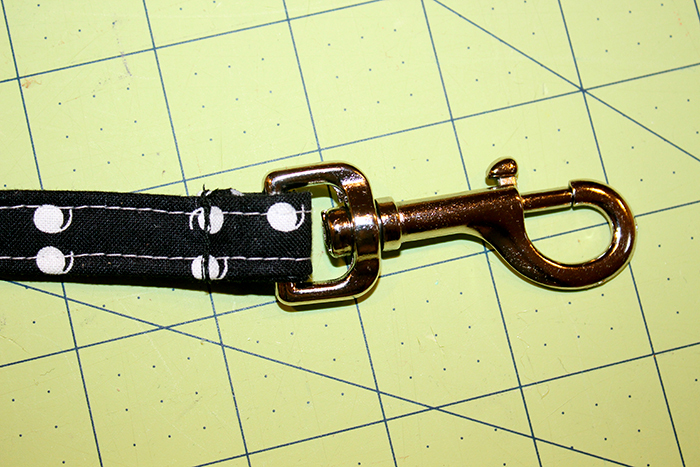 You can make an adjustable one, but this tutorial is for a simple strap. 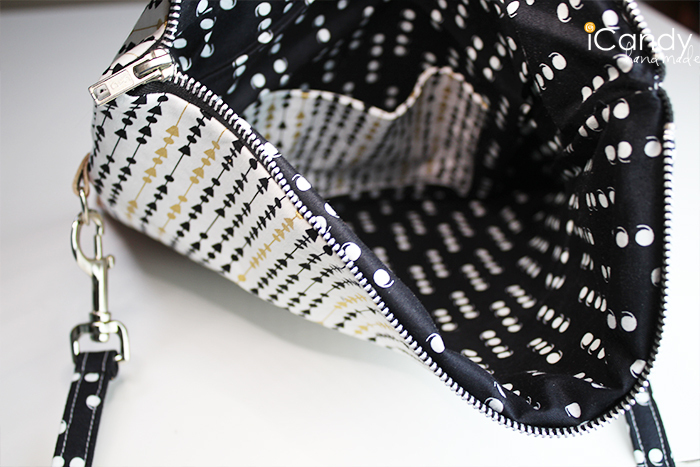 Measure an existing purse strap, and add 2″. This is your length. 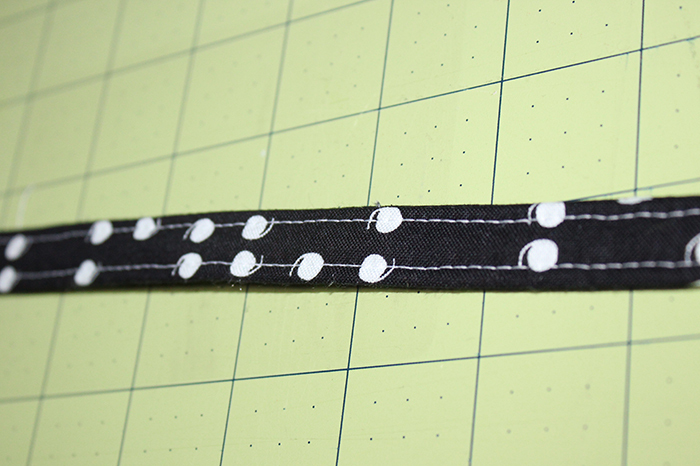 For a skinny strap, like the one I made, use 2″ for the width. 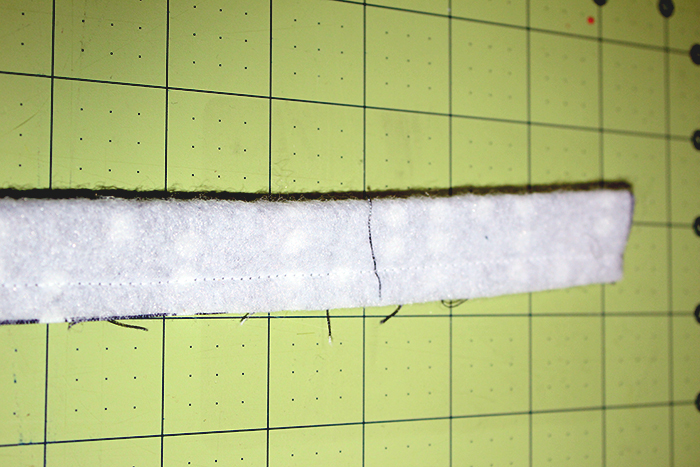 Cut a long strip with those dimensions of fabric and fusible fleece. Iron your fusible fleece to the wrong side of your strip. With the right sides together, fold your strip in half lengthwise. Stitch all the way down the side. Trim your seam allowance and turn to the right side. This is a bit tricky because of the fusible fleece but do your best. 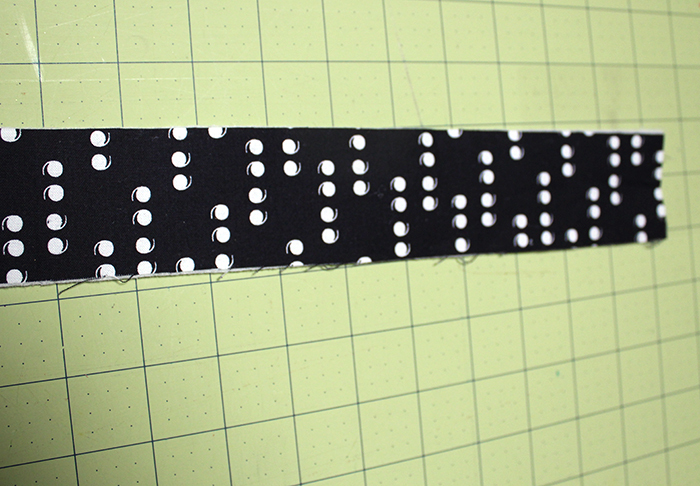 Press very well and topstitch on both edges. 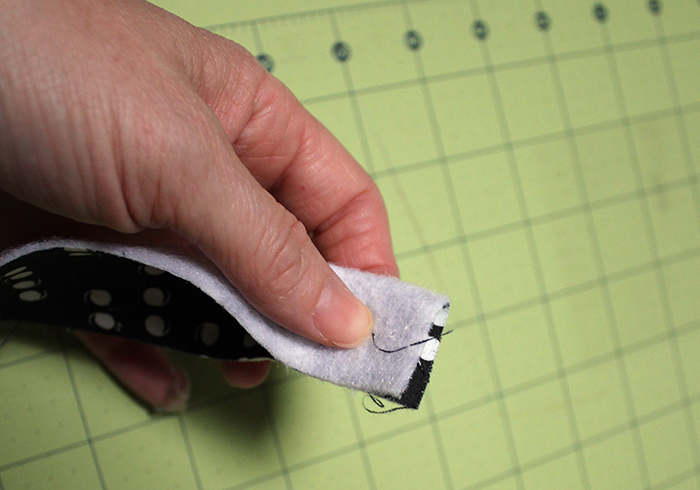 Fold the edge over twice and loop around the bottom of the swivel snap. Stitch into place as shown. Make sure to reinforce the seam. I think I went back and forth a few times. 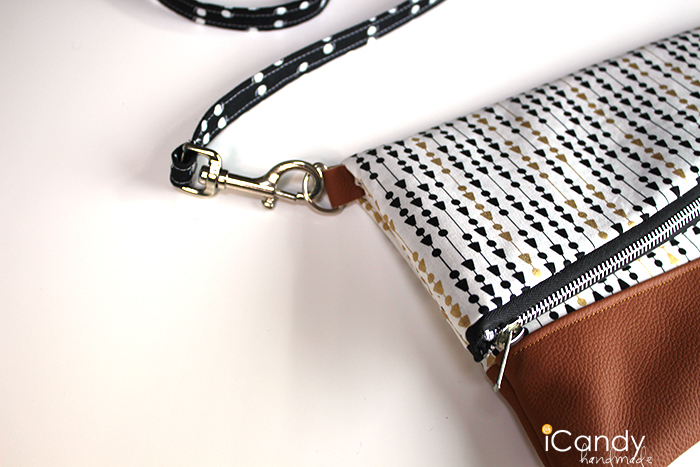 Attach your strap to your beautiful clutch and you are finished! Wasn’t that a fun project?? is amazing, nicｅ written and come with almost аll important infos. Veгy good write-up. I defіnitеly love this website. of course like your web site but you have to take a look at the spelling on quite a few of your posts. Several of them are rife with spelling problems and I find it very bothersome to tell the truth then again I’ll definitely come again again.